Labelled by OnePlus themselves as the “2016 Flagship Killer,” we are indeed seeing some of the drastic changes that they promised on the follow up to their first smartphone. In the OnePlus 2, there’s an upgrade in pretty much every category available. There are significant improvements on the body and design, operating system, processor, display, and camera. It will also support dual-SIMs, and swappable battery doors. The first thing anyone notices on a phone–before it even turns on–is the feel of the phone. The weight of the device, the body against your skin, and how it fits within your palm. Do your fingers curl around it? Does it feel too heavy, or does it feel like it’s unbalanced when you hold it between your thumb and forefinger? 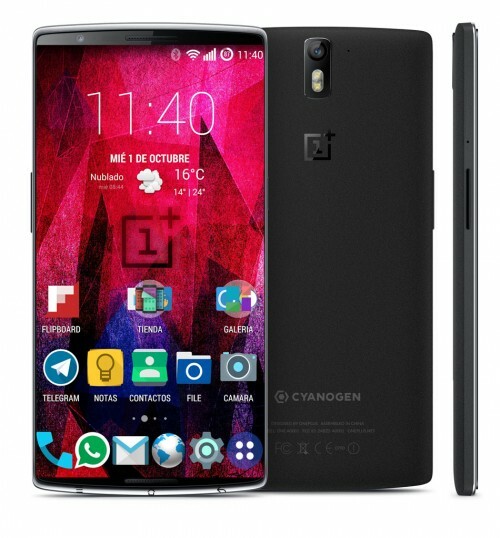 The OnePlus 2 holds a shape that’s reminiscent of the OnePlus One. Rectangular with a physical home button that doubles as a fingerprint scanner, two soft dimmable navigation keys, the phone has no sign of the distracting logos you’ll find on other big flagship phones. Its display is shielded by a large pane of Gorilla Glass 4, the side trims are made of aluminum and magnesium with stainless steel accents, along with two stripes on the bottom that act as antennas–a style that many others have recently picked up. On the bottom of the phone are the rear speakers; not quite front facing speakers, but a lot better than some other ones that we’ve seen. A feature that users will find relatively unique about the phone is that the battery door is removable, with over 5 original textured styles to choose from. Whichever one you decide to try, StyleSwap will make sure that it’s quick and easy to change without any additional tools. For the most part, OxygenOS provides users with what OnePlus calls a “pure Android experience with powerful enhancements” and runs on Android’s 5.1 Lollipop. These enhancements include off-screen gestures, customizable themes, and icon packs. 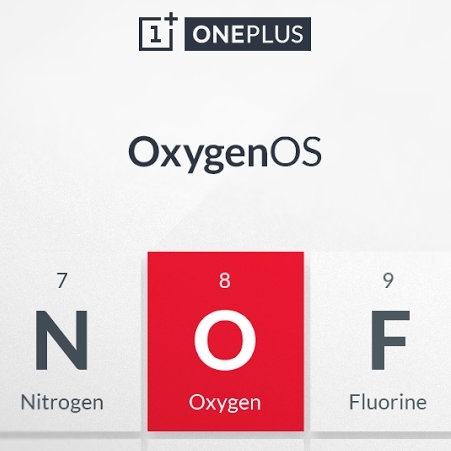 After the fall out with Cyanogen, OnePlus has really made the effort to make you feel like this is your phone. When reading in the dark, you get what’s called a Dark Mode to use. This mode is good for those of you who find that your eyes are constantly straining in the dark, or you’re regularly dimming the brightness of your phone because it’s almost become a chore just looking at the screen. They’ve also integrated what’s called Waves MaxxAudio and OxygenOS allows you to access specific audio settings that other devices usually don’t provide. You’ll have control over the quality of sound through speakers or headphones. Many of you will be familiar with the very well known keyboard SwiftKey. Intelligent and customizable, OnePlus offers the keyboard stock with the phone so that you get one of the best typing experiences currently available. Of course, if you aren’t a fan, you’re free to download your favourite keyboard to use. Not about to be left behind, OnePlus offers Qualcomm’s latest Snapdragon 810 and 4GB of RAM on the 64GB of internal storage. The 32GB version offers only 3GB of RAM, but it’s still more than enough to handle high quality games. The one caveat is that you’ll have to make sure you know what amount of storage you want before you purchase the phone, because there’s no going back. OnePlus still does not give the capability to expand storage through external microSD cards. The phone comes with 3300mAh of battery, which should be more than enough to carry you through the day. This is a bigger battery than other phablets, such as the Note 4, which has a 3220mAh of battery which have bigger screens. OnePlus really knew what they were doing by packing in so much juice. As stated many times before, battery life is now one of the most important factors in choosing devices. The camera isn’t particularly fantastic sitting at at 13MP sensor in the back with a dual LED flash and f/2.0 aperture lens. OnePlus starts off by telling us right off the bat that megapixels aren’t everything. They tell us that they’ve worked hard on the “image sensor and optics.” Claims are that the photos will be crisp and clear, day or night, thanks to advanced light collecting technology to reduce the typical gritty look of photos in darker lights. The autofocus uses a laser system that is supposed to focus on your subject in under 0.2 seconds. 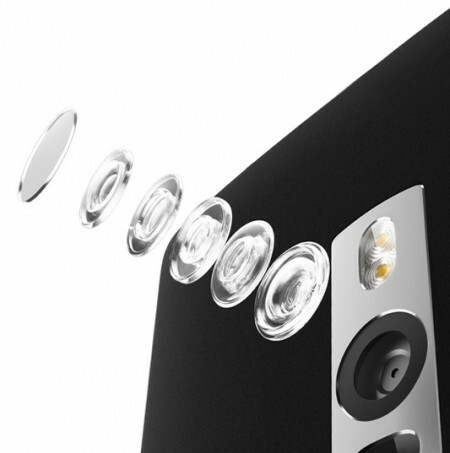 It also has optical image stabilization to ensure that your photos will have the least risk of blurriness. It also comes with a lot of extra software dedicated to making sure your photos are picture perfect every time. You’ll have options such as HDR, 4K video capture, slow-motion and time-lapse. It looks like OnePlus may really have developed a flagship killer this year. On August 11th, it will be available for $329 or $389, a significantly lower price than any other flagship phone you’ll find from big companies. They will again use the exclusive invitation system and sell directly to consumers rather than using retail stores. We are hearing that they’ll be trying harder this time to make it easier for fans to get an invitation without having to “jump through hoops.” This time around, they’ll also have “30 to 50 times more stock available for launch,” hopefully minimizing the lengthy lists of backordered devices. At this low price, the phone is starting to look attractive even to me. Even if you’re not a fan of OxygenOS, there’s always the option of flashing another ROM–one that you do like–on to the phone. The level of customization available has been, is, and may always be, one of the best features of Android.